Mobile POS is a stroke of genius – and retailers owe it all to customers. Devices in hand, on-the-go shoppers want point of sale to be mobile, too. Given the upside for stores – everything from more satisfied customers and shorter checkout times to expanded selling opportunities – it’s no wonder retailers have been enthusiastic about mobile POS. Back in 2013, a healthy 79% of retailers, planned to integrate mobile POS by 2015, according to a Forrester survey. [i] Yet in an industry survey last summer, only 13.5% of retailers were supporting mobile POS in most of their stores [ii]. Why the discrepancy? One reason is that mobile POS is far more complex than just portable checkout. It touches on all operations, and many retailers still view their operations in isolation — store ops doesn’t talk to e-commerce, and neither talks to marketing. Such silos handicap retailers’ ability to push forward new digital initiatives like mobile POS. Another reason for the slower-than-expected adoption of mobile POS is that digital advances require organizations to think holistically and put complete plans in place. It’s reasonable – and advisable — to execute in small steps. Yet many retailers believe they have fallen behind when it comes to digital improvements. As a result, they feel compelled to catch up quickly and often all at once. The rushed approach leads to many ideas and few successful executions — including initiatives like mobile POS. Getting closer to customers is a priority. The days of bored-looking store associates are over. Today’s associates are more akin to personal shoppers than to cashiers: Armed with tablet devices, they’re engaging customers throughout the aisles, verifying price and product information, and even managing home-delivery options. They’re also quickly and efficiently providing checkout of purchases. Mobile POS enables that no customer is left behind – and that’s exactly how customers want it. Shoppers’ most requested store improvements are more knowledgeable associates and associates who can match prices, according to Cognizant’s 2015 Shopper Experience Study. Future-proof solutions appeal to your organization. Retailers are routinely plowing investment dollars into new and innovative platforms. 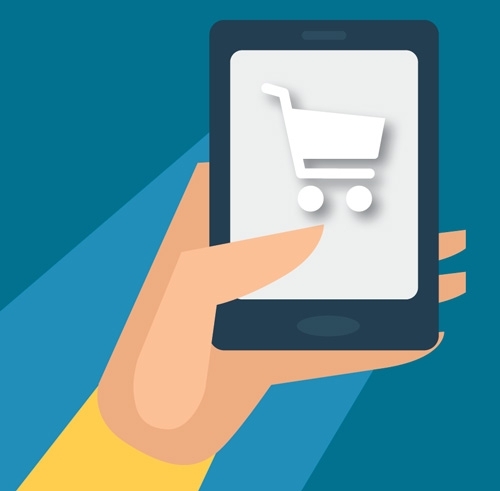 A key sign that your organization is ready for mobile POS, however, is its interest in a mobile POS platform primed to integrate with new technologies such as Internet of Things, beacons, and loyalty CRM promotions.Mobility’s expansive opportunities require retailers to take a longer than usual view regarding POS options. The average refresh rate for POS technology is four to five years, while technology investments typically extend out for five to seven years. Now that POS dovetails with advanced technologies, retailers will need to view their POS options in more strategic, long-range terms. Cloud has emerged as your organization’s technology hub. Cloud technology makes the ideal platform for the connected store and mobile POS. But to be effective, it must serve as the hub of your retail platform, not as an add-on. Cloud is the focal point for unified commerce, also called omnichannel, providing the versatility for new services and shipping options. Cloud offers other options in addition to connectivity, such as the cost reductions that result from moving hardware out of store premises and into central locations.Not every retailer is ready for the cloud, however. It needs reliable wi-fi, a requirement that offers an advantage for mall-based locations with their larger infrastructure and network. Mobile POS can work without the cloud, but the cloud makes it more cost effective and easier to manage. That’s why the most successful mobile POS installations will include discussion of cloud. Digital marketing is a key strategic element. Mobile POS plays an important role for retailers whose marketing functions are pushing to adopt innovative promotions such as digital coupons and beacon technologies. By connecting to the data stored in back-office systems such as CRM and order management, tablets allow associates to draw on a bounty of data to communicate with customers in more intelligent, personalized ways. For example, tablets allow “clienteling,” or the ability to access customers’ likes and dislikes based on past purchases, and to extend to them meaningful, custom offers that make them feel special. In this age of technology-wielding shoppers, mobile POS and digital marketing enable retailers and their associates to stay a step ahead of shoppers. You want to appear hip. Don’t laugh: Tablet- or smartphone-enabled associates help create positive marketing buzz for brands. It’s a look — and a capability – that’s part of today’s customer experience. To shoppers, stationary cash registers are technological dinosaurs. While tech retailers like Apple and Best Buy were the first to equip sales staffs with mobile POS, the trend is spreading into more mainstream retailers. Nordstrom Rack, for example, employs roving associates armed with mobile POS for fast, easy checkout of purchases. Store labor is an asset to optimize. Mobile POS is most successful for retailers that view store labor as an asset to develop, rather than a cost to squeeze. Yet labor represents store managers’ largest controllable cost, and retailers’ second biggest investment after inventory. Savvy retailers recognize the versatility of the tablet form factor to help them optimize store operations. For example, tablets can be used to notify associates about shelves that need stocking. By pushing out alerts of store customers who require assistance, tablets can also drive higher ticket sales. You’re ready to embrace digital payments and security. Make no mistake: Traditional credit cards will eventually become obsolete. As digital financial services become the preferred method of payment for consumers in their 20s and 30s, your organization wants to capitalize on the trend. You’re that much closer to mobile POS if your organization is prepared to invest in hardware to support NFC and the security to safeguard the customer data that whizzes through mobile devices. Without tight security, mobile POS will never be fully adopted. Added bonus: If your organization supports digital wallets, it avoids the headaches of PCI compliance and EMV. The time seems right for BYOD. Restaurants are leading the way with options that let diners use their smartphones to pay, place orders or scan items. As consumers grow accustomed to the scan-and-swipe convenience, can comparable retail offerings be far behind?When it comes to BYOD, Starbucks’ mobile order and pay app is the gold standard. In December 2015, the coffee seller’s customers rang up 22% of U.S. transactions using its mobile apps[iii]. Unified commerce is positioned to be the heart of your operations. Mobile POS plays an essential role in creating the seamless customer experience across stores, web sites, and apps that defines unified commerce, or omnichannel retailing. But unified commerce requires tight integration and careful end-to-end planning. Retailers have already discovered the growing pains of integration with their buy-online, pickup-in-stores services, with 60% of consumers reporting problems at pickup, according to Cognizant’s 2015 Shopper Experience Study. As a new technology, however, mobile POS is generally easy to integrate and operationally more convenient for omnichannel orders. It can be built with capabilities that enable a smoother process for in-store pickup of online orders. Lower POS hardware costs are compelling. Traditional POS devices cost $2,000 each. Tablets run a far more modest $500 or so and are far more versatile. For example, with enterprise rollouts of several devices across 1000 stores, the cost differential can be substantial. What’s more, by moving to mobile, you decrease your cash wrap space and increase the sales floor space. Mobile POS is indeed an important advance for which we can thank our customers. Once your retail organization has thoroughly examined the indicators for mobile POS, it will have laid the groundwork for a more successful adoption of the technology. While there will still be operational challenges to address, such as handling of cash purchases and bagging of items, mobile POS is no doubt a change your shoppers are waiting for — and a key digital improvement for your retail organization. Karl Swensen is an AVP in the Cognizant Business Consulting organization and is a leader in the Retail Hospitality Consumer Goods practice. He has 30 years of experience helping companies implement change and growth strategies globally from a strategic, business process, technology, and human resources perspective. Jigar Shah is a Consulting Manager within Cognizant’s Business Consulting organization and is the Point of Service Practice Leader. He has 15 years of experience in Retail helping customers across the globe with their strategy, business process changes and transformation. He is responsible for driving the unit’s thought leadership and business development efforts. Jigar’s areas of expertise include point of service, store operations, omni-channel, IoT and other disruptive technologies.